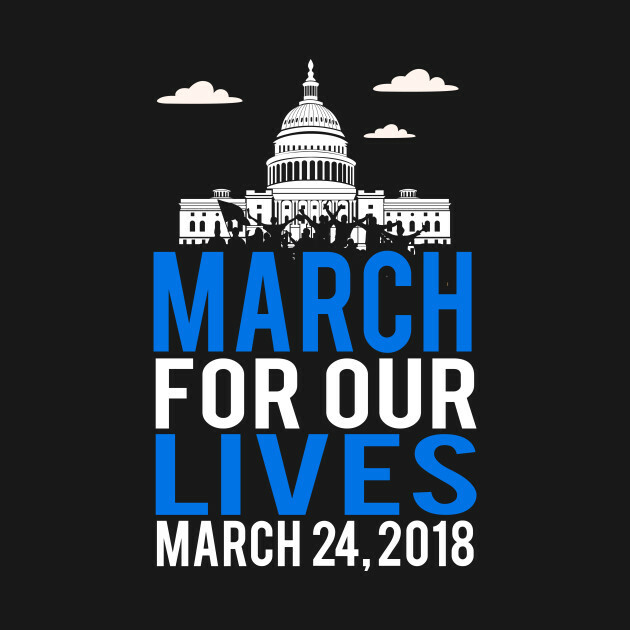 Living, kind of, near Washington D.C. we are already receiving the warning about how the metro will be packed and that traffic will be backed up due to the “March for Our Lives” march tomorrow. Sadly I will not be able to go, because I am in my third trimester. I learned from the Women’s March in 2017 that bathrooms are few and far between, and as a pregnant person one needs to know where the toilet is. As someone who experienced the emotions of being on campus during a school shooting I am with the marchers. I just hope that those in power are listening. The smartest thing the survivors of the Parkland shooting are doing is not allowing the news cycle to forget about them. They are now allowing their story to be forgotten. Since Parkland there were nine other smaller school shootings all over the country. With the latest one being in Maryland, where one of the victims was just taken off life support and has passed away. Some of these shootings were accidental firearm discharges, some where domestic disputes, but however you look at it these shootings were in the papers and now are gone. Parkland is staying on the tips of people’s tongues. Thank you to the survivors of the Parkland shootings for mobilizing people and making them realize that they can mobilize and do something. It’s 2018, all the members of the House of Representatives are up for election. Get ready to vote.